For aspiring entrepreneurs, having a successful business or having their idea or product marketed is the dream. Many of them have brilliant business ideas, however, they lack capital for investment. This is the premise of the reality TV show Shark Tank. The business-themed series showcases some of Americans’ best ideas and inventions and helps them come to life. John “Johnny” Georges from Winter Haven, Florida was among the contenders in a recent episode. 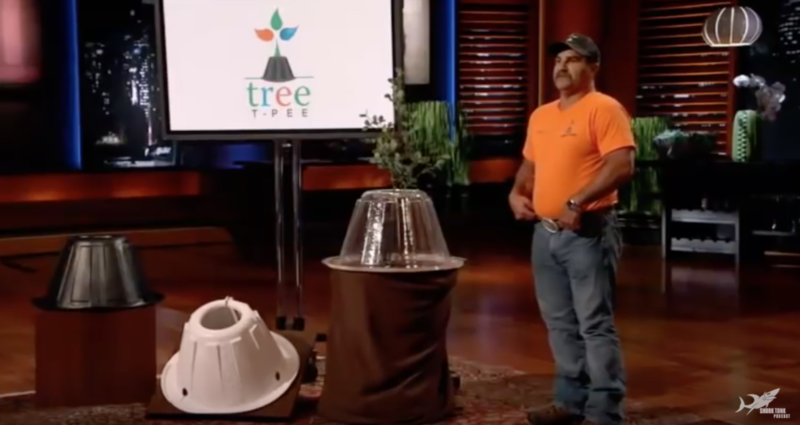 Bringing his long-held dream of helping farmers in the US, he presented in front of the multi-millionaire tycoons his “Tree T-Pee” invention. Johnny’s passion for the irrigation industry was instilled in him by his father, Rick Georges. The Tree T-Pee invention is a cone-shaped tree guard made out of recycled plastic. It is a water containment system with micro-sprinklers that helps conserve water up to 3000 percent. The product was also designed for frost protection. After Johnny explained about how the Tree T-Pee works, the business tycoons started to interrogate him. He was questioned about why he would sell it at $4.50 each when he could sell it at a higher price for it to be more profitable. Mindful of how the farmers could afford the product, he strongly disagreed. Johnny explains he’s not doing the business for the sake of profit, but for the sake of sustaining farmers in America. Many farmers are not able to keep up with larger corporations and have to sell off land and farms, some of which have been in their families for generations. It was a very emotional moment that blessed millions of people around the world! To know more about the product, visit the Tree T-Pee website. This was written by Christel Berns Villariza.